Dr R Larbi is a specialist gynaecologist and obstetrician who consults from his private practice located at the Park Lane Netcare Hospital, Parktown, Johannesburg. Dr Larbi qualified at the University of Ghana and completed his post graduate studies at the Wits University. Dr Larbi has been providing the residents of Johannesburg with general gynaecology and obstetric services for the past 10 years. Dr Larbi practices in two specialties, gynaecology as well as obstetrics which means that he would consult with a patient before, during and after pregnancy to ensure that the newborn is healthy and in good shape. Gynaecology and obstetrics are two separate fields of specialty but the two go hand in hand and in the past expectant mothers would have been referred to a gynaecologist by her GP and her gynaecologist would ultimately refer her to an obstetrician to handle the birth and assist with infant care after the child was born. 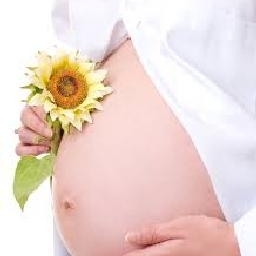 Today, most post graduate programmes encompass both specialties and most practicing gynaecologists are also practicing obstetricians which means expectant mothers can forge close relationships with their physicians and therefore do not need to consult with two separate physicians during their term. Dr Larbi’s practice covers all aspects of gynaecology and obstetrics. Dr Larbi’s special interests include, recurrent miscarriages, menstrual irregularities, polycystic ovarian syndrome (PCOS), contraception, menopause and the management of chronic pelvic pains. Dr. Larbi is knowledgeable, patient, and compassionate. He really understands the anxiety surrounding gynecology, especially as we grow older. Dr Larbi is a knowledgeable and professional doctor.I highly recommend him he makes every experience very comfortable and carefree.